Got someone “berry” cute you want to surprise? Here’s a delicious way to do it! 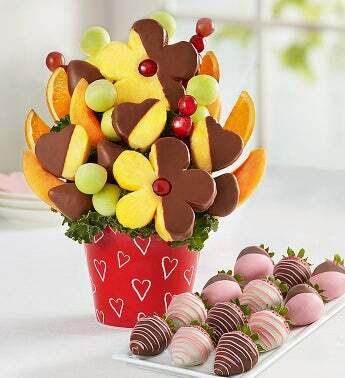 Our mouthwatering fruit creation is filled with adorable heart-shaped & daisy pineapples, plump strawberries, juicy grapes and more. Designed inside a red container decorated with charming chalkboard-style hearts, it’s a gift the one you love is sure to love.